Brexit Negotiations after Article 50: Assessing Process, Progress and Impact brings together contributors from academia, politics and practice to discuss and debate the progress (or lack of) to date since the Prime Minister, Theresa May, enacted the Article 50 process to leave the EU on 29th March 2017. 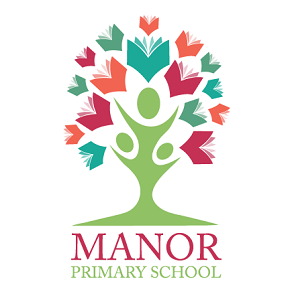 This collection is split into two key areas of inquiry. 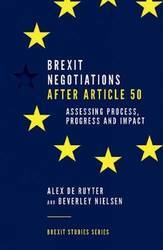 The first section explores the process of Brexit and the multifaceted aspects of the Article 50 process, examining the arguments for and against membership of the European Union. 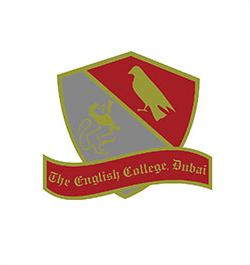 The second section develops the arguments within the first section by providing thematic chapters on the likely impact of Brexit on particular sectors of the UK economy, namely: the financial services sector; SMEs and related supply chain issues; and, the automotive sector (as an emblematic sector for UK manufacturing). The book will make a unique contribution to the debate on Brexit as it brings together academics and practitioners from both a 'Remain' and 'Leave' persuasion, including Sir Bernard Jenkin, MP, economist Vicky Pryce and philosopher AC Grayling. What Happened to Governance in Kashmir? 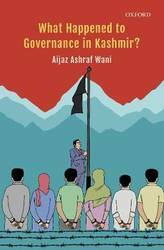 What Happened to Governance in Kashmir is a telling tale on the state of governance in Kashmir; the policies and strategies adopted by Indian state and the successive patronage governments to grapple with the multifarious problems of the state. Kashmir is an ailing state. It is the victim of colonialism and partition, which subverted its geographical centrality with serious economic implications besides making it a permanent conflict state causing immense human and material loss. Besides being claimed by India, Pakistan, and Kashmiris, it is also a rainbow state very difficult to manage with various ethno-regional and sub-regional nationalities at cross-purposes. Added to this, it is a dependent state. This book situates governance in its total milieu and examines the governance in the framework of challenge and response continuum. It unfolds how in a conflict state like Kashmir democracy and governance is always guided and controlled. This is the first comprehensive book on the post-1947 governance in Kashmir. The election of Donald J. Trump to the presidency shocked the political establishment, triggering a wave of hysteria among the bicoastal elite that may never subside. The biggest shockwaves of all, however, were felt not in the progressive parishes of Manhattan or San Francisco, but in the halls of the political elite's cherished and oft-overlooked center of power--Washington, DC's sprawling administrative state --for President Trump represented an existential threat to its denizens, who came to be known as swamp creatures. How did it come to pass that the draining of the swamp would become a core aim of the Trump administration, impacting everything from judicial appointments to the federal budget and regulatory policy? 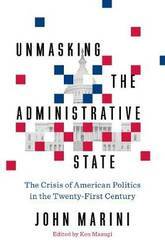 Marini's unmasking of the administrative state goes beyond bureaucracy or legalism to its core in an intellectual elite whose consensus transcends whatever disagreements flare up. The universities, the media, and think-tanks that denounce Trump are its heart. The answer to this question and many more lies in the underappreciated but revolutionary scholarship of Professor John Marini, collected in his new book, Unmasking the Administrative State, which tells the critical missed story of the last century of political history: The ascendance of the theory behind and resultant growth of an administrative state that has supplanted limited constitutional government with the tyranny of unbounded anticonstitutional bureaucracy. Marini illustrates the existential threat of the administrative state to our republic, exposes the regressive philosophy from which it springs, and argues for the reassertion of the founding principles to restore self-government. The Trump administration may be the best chance to apply the lessons of Marini's life's work and seize this remarkable opportunity to restore power to its rightful owners: the American people. Public Administration has experienced a fundamental rethinking of its basic objectives, concepts and theories during the 21st century. This book examines the transformations happening in global societies, the economy and in politics, to trace the trajectory of public administration as an academic discipline as well as being a focus of social science research. It presents a reassessment of governance in heterogenous developing countries that goes beyond the traditional Weberian bureaucratic model, toward new models of organization and management, informed by their legal, constitutional, economic and political needs, aspirations and ground realities. This is especially important in relation to the marginalized sections of society that primarily rely on citizen entitlements through public service delivery systems. 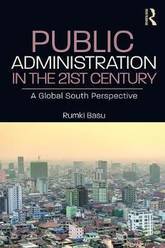 The author looks at widening the range and scope of public administrative agencies with the gradual cooperation of multiple actors, such as the civil society, people at large and even the private sector, in a partnering role. The author revisits the discipline to tackle intellectual dilemmas that current governance theories and practices are confronting, or will have to confront in future administrative situations. There will be key discussions on mandates and challenges for the state regarding the rising South; this book will be indispensable to scholars and researchers of politics, especially governance and public policy, sociology and development studies. It will also be of interest to bureaucrats, NGOs and government officials. Since 2011, the Arab world has seen a number of autocrats, including leaders from Tunisia, Egypt, Libya, and Yemen, fall from power. Yet, in the wake of these political upheavals, only one state, Tunisia, transitioned successfully from authoritarianism to democracy. Opposition parties forged a durable and long-term alliance there, which supported democratization. Similar pacts failed in Morocco and Mauritania, however. 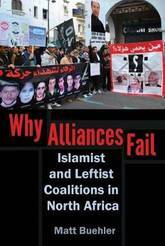 In Why Alliances Fail, Buehler explores the circumstances under which stable, enduring alliances are built to contest authoritarian regimes, marshaling evidence from coalitions between North Africa's Islamists and leftists. Buehler draws on nearly two years of Arabic fieldwork interviews, original statistics, and archival research, including interviews with the first Islamist prime minister in Moroccan history, Abdelilah Benkirane. Introducing a theory of alliance durability, Buehler explains how the nature of an opposition party's social base shapes the robustness of alliances it builds with other parties. He also examines the social origins of authoritarian regimes, concluding that those regimes that successfully harnessed the social forces of rural isolation and clientelism were most effective at resisting the pressure for democracy that opposition parties exerted. With fresh insight and compelling arguments, Why Alliances Fail carries vital implications for understanding the mechanisms driving authoritarian persistence in the Arab world and beyond. Prime Minister's Questions is the bear pit of British politics. Watched and admired around the world, it is often hated at home for bringing out the worst in our politicians. Yet despite successive leaders trying to get away from `Punch and Judy politics', it's here to stay. Ayesha Hazarika and Tom Hamilton spent five years preparing Ed Miliband for the weekly joust, living through the highs and lows, tension and black humour of the political front line. 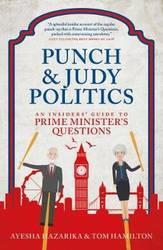 In this insightful and often hilarious book, including an updated afterword discussing the key events of 2018, they lift the lid on PMQs and what it's really like to ready the leader for combat. Drawing on personal recollections from key players including Tony Blair, David Cameron, Harriet Harman, William Hague and Vince Cable alongside their unique knowledge, Hazarika and Hamilton take you behind the scenes of some of the biggest PMQs moments. 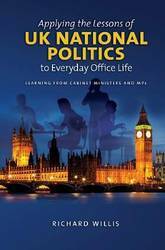 This book engagingly presents an intriguing account of many of the principles of UK government politics and how these have an important bearing on everyday office life as experienced by the working population. 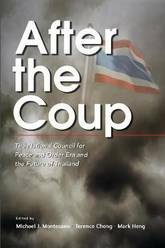 Here is a fascinating account of the findings of two former Cabinet ministers Lords Blunkett and Baker who were interviewed by the author. 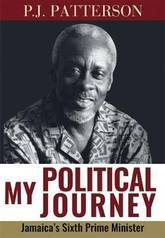 Oral testimony allows the reader to learn about the perspectives of political power brokers and provides data and insight not always apparent or revealed from historical records and archive material. 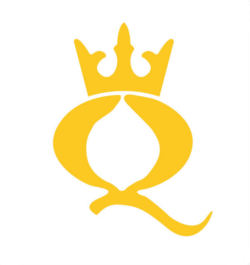 The overriding aim is to analyse the nature of politicking in central government and to apply the techniques and lessons of national politics to everyday office life. The book offers a political framework, giving behavioural pointers to assist those who face challenging circumstances that could impinge on their well-being and business efficiency in the workplace. A back to basics methodology is advised, touching on a range of techniques, including, for example, that gossip is an effective way of getting back at someone. This touches upon Blunketts assertion that Michael Gove MP is a zealot and a politician having an ideological obsession. Applying the Lessons refers moreover to cases calling for bargaining and negotiation, also a part of the life of the whips in Parliament, and an essential tool for office business. 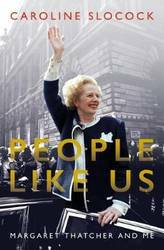 As a seasoned historian and political analyst, Richard Willis revealingly unravels the nature of political power and control, and shows how Margaret Thatcher and Tony Blair initially supposedly gave Baker and Blunkett considerable scope in introducing reform. He goes on to explain how the two peers give their critique on policy-making against a background which is of definite benefit to office managers and supervisors, executive assistants, PAs, administrators, and administrative/administration assistants. 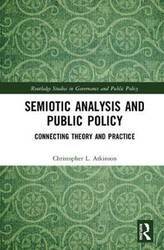 Semiotic Analysis and Public Policy evaluates several key areas of public policy that are dependent on narrative, naming, sign, and branding to create meaning. Semiotic analysis, drawing on the work of Saussure, Peirce, and others, allows for creation of a case-oriented model of brand versus product, and of medium compared with message. Using a critical Habermasian lens, Atkinson convincingly exposes approaches focusing too heavily on instrumentality and rhetoric that claims a resolution of complex societal dilemmas. Rooted in the literature on public policy and semiotics, Atkinson creates an opportunity to delve more fully into the creation of narratives and meaning in policy, and the origins and maintenance of public programs. 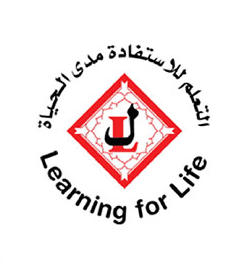 Evaluation of such programs shows various levels of disconnect between popular understanding of public considerations, political outcomes, and what results from the administrative/regulatory process in support of the law. This book will be of interest for scholars and researchers of public policy, policy analysis, public administration, public management, and policy implementation. In 2016, when millions of Americans voted for Donald Trump, many believed his claims that personal wealth would free him from wealthy donors and allow him to drain the swamp. But then Trump appointed several billionaires and multimillionaires to high-level positions and pursued billionaire-friendly policies, such as cutting corporate income taxes. Why the change from his fiery campaign rhetoric and promises to the working class? This should not be surprising, argue Benjamin I. Page, Jason Seawright, and Matthew J. Lacombe: As the gap between the wealthiest and the rest of us has widened, the few who hold one billion dollars or more in net worth have begun to play a more and more active part in politics--with serious consequences for democracy in the United States. 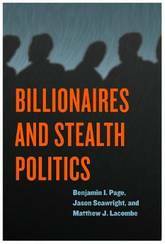 Page, Seawright, and Lacombe argue that while political contributions offer a window onto billionaires' influence, especially on economic policy, they do not present a full picture of policy preferences and political actions. That is because on some of the most important issues, including taxation, immigration, and Social Security, billionaires have chosen to engage in stealth politics. They try hard to influence public policy, making large contributions to political parties and policy-focused causes, leading policy-advocacy organizations, holding political fundraisers, and bundling others' contributions--all while rarely talking about public policy to the media. This means that their influence is not only unequal but also largely unaccountable to and unchallengeable by the American people. Stealth politics makes it difficult for ordinary citizens to know what billionaires are doing or mobilize against it. The book closes with remedies citizens can pursue if they wish to make wealthy Americans more politically accountable, such as public financing of political campaigns and easier voting procedures, and notes the broader types of reforms, such as a more progressive income tax system, that would be needed to increase political equality and reinvigorate majoritarian democracy in the United States. The start of 2019 is midway between the last presidential inauguration and the next - but will it also prove the halfway point in Donald Trump's presidency? 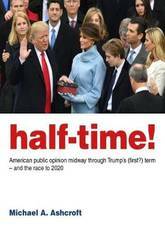 Following up Hopes and Fears, which set out in compelling detail why America sent Trump to the White House, Half-Time! 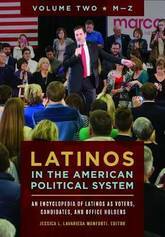 brings together two years of groundbreaking research, exploring what the voters make of the President's agenda and character, how they see the issues at stake and - with voices at the far ends of the political spectrum set to dominate the debate - how they are lining up for the 2020 election. How do international organizations in the United Nations system put together their budgets? What is the role of complex principals - most notably member states - and the complex agents in the bureaucracies of international organizations in budgeting processes? And what does a focus on budgeting tell us about the changing nature of the system of international organizations? 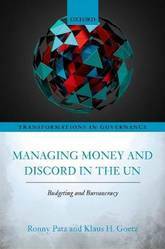 This book provides answers to these questions through a detailed examination of budgeting in the UN system. The analysis draws on both quantitative and qualitative observations for a total of 22 UN system organizations and detailed case studies for the United Nations, ILO, UNESCO, and WHO. The findings demonstrate the importance of three key organizational outcomes- proceduralization, routinization, and budgetary segmentation - as international organizations grapple with managing discord over priorities as a result of complex principal- agent constellations. Contrary to a common view of international bureaucracies as pathological organizations, core budget routines are mostly successfully maintained. However, principal constellations become more complex, notably through the rise of voluntary contributions and non-state donors; budgetary segmentation advances, in some cases even leading to the setting up of new international organizations; and budgeting and resource mobilization become ever more intertwined. As a consequence, the capacity of international bureaucracies to fulfil their budgeting responsibilities is stretched to the limits and beyond. Transformations in Governance is a major academic book series from Oxford University Press. It is designed to accommodate the impressive growth of research in comparative politics, international relations, public policy, federalism, and environmental and urban studies concerned with the dispersion of authority from central states to supranational institutions, subnational governments, and public-private networks. It brings together work that advances our understanding of the organization, causes, and consequences of multilevel and complex governance. 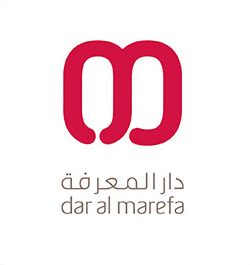 The series is selective, containing annually a small number of books of exceptionally high quality by leading and emerging scholars. The series is edited by Liesbet Hooghe and Gary Marks of the University of North Carolina, Chapel Hill, and Walter Mattli of the University of Oxford. 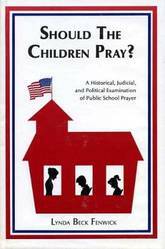 The author traces the history of public school prayer in America and the legal debates since the 1962 Supreme Court ruling that outlawed the practice. The book thus makes available the historical and legal information from which readers can draw their own conclusions about this sensitive issue. A leading foreign policy thinker uses Chinese political theory to explain why some powers rise as others decline and what this means for the international order While work in international relations has closely examined the decline of great powers, not much attention has been paid to the question of their rise. The upward trajectory of China is a particularly puzzling case. How has it grown increasingly important in the world arena while lagging behind the United States and its allies across certain sectors? Borrowing ideas of political determinism from ancient Chinese philosophers, Leadership and the Rise of Great Powers explains China's expanding influence by presenting a moral-realist theory that attributes the rise and fall of nations to political leadership. Yan Xuetong shows that the stronger a rising state's political leadership, the more likely it is to displace a prevailing state in the international system. Yan defines political leadership through the lens of morality, specifically the ability of a government to fulfill its domestic responsibility and maintain international strategic credibility. Examining leadership at the personal, national, and international levels, Yan shows how rising states like China transform the international order by reshaping power distribution and norms. Yan also considers the reasons for America's diminishing international stature even as its economy, education system, military, political institutions, and technology hold steady. The polarization of China and the United States will not result in another Cold War scenario, but their mutual distrust will ultimately drive the world center from Europe to East Asia. Using the lens of classical Chinese political theory, Leadership and the Rise of Great Powers offers a provocative, alternative perspective on the changing dominance of nations on the global stage. This is a broad ranging introduction to twenty-first-century anarchism which includes a wide array of theoretical approaches as well as a variety of empirical and geographical perspectives. The book demonstrates how the anarchist imagination has influenced the humanities and social sciences including anthropology, art, feminism, geography, international relations, political science, postcolonialism, and sociology. Drawing on a long historical narrative that encompasses the 'waves' of anarchist movements from the classical anarchists (1840s to 1940s), post-war wave of student, counter-cultural and workers' control anarchism of the 1960s and 1970s to the DIY politics and Temporary Autonomous Zones of the 1990s right up to the Occupy! Movement and beyond, the aim of this volume is to cover the humanities and the social sciences in an era of anarchist revival in academia. Anarchist philosophy and anarchistic methodologies have re-emerged in a range of disciplines from Organization Studies, to Law, to Political Economy to Political Theory and International Relations, and Anthropology to Cultural Studies. Anarchist approaches to freedom, democracy, ethics, violence, authority, punishment, homelessness, and the arbitration of justice have spawned a broad array of academic publications and research projects. 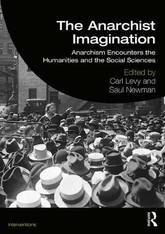 But this volume remembers an older story, in other words, the continuous role of the anarchist imagination as muse, provocateur, goading adversary, and catalyst in the stimulation of research and creative activity in the humanities and social sciences from the middle of the nineteenth century to today. This work will be essential reading for scholars and students of anarchism, the humanities, and the social sciences. The Quality of Divided Democracies contemplates how democracy works, or fails to work, in ethno-culturally divided societies. 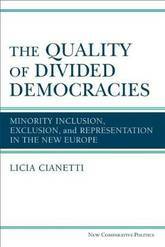 It advances a new theoretical approach to assessing the quality of democracy in divided societies, and puts it into practice with the focused comparison of two divided democracies-Estonia and Latvia. The book uses rich comparative data to tackle the vital questions of what determines a democracy's level of inclusiveness and the ways in which minorities can gain access to the policy-making process. It uncovers a voice-polarization dilemma for minorities' inclusion in the democratic process, which has implications for academic debates on minority representation and ethnic politics, as well as practical implications for international and national institutions' promotion of minority rights. Why has American politics fallen into such a state of horrible dysfunction? Can it ever be fixed? These are the questions that motivate Michael Tomasky's deeply original examination into the origins of our hopelessly polarized nation. One of America's finest political commentators (Michael J. Sandel), Tomasky ranges across centuries and disciplines to show how America has almost always had two dominant parties that are existentially, and often violently, opposed. 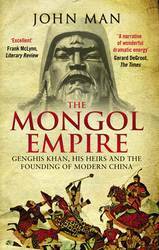 When he turns to our current era, he does so with striking insight that will challenge readers to reexamine what they thought they knew. 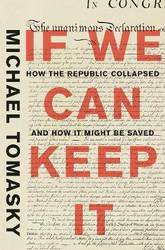 Finally, not content merely to diagnose these problems, Tomasky offers a provocative agenda for how we can help fix our broken political system-from ranked-choice voting and at-large congressional elections to expanding high school civics education nationwide. Combining revelatory data with trenchant analysis, Tomasky tells us how the nation broke apart and points us toward a more hopeful political future. In a world in which fear and insecurity are being twisted into hate, and inequalities, xenophobia and authoritarianism are on the rise, a renewed municipalist movement is standing up to defend human rights, radical democracy and the common good. In 2015 in Spain, housing rights activist Ada Colau was elected mayor of Barcelona, and movements from the squares won local elections across the country on manifestos pledging to tackle corruption and radicalize democracy. In the United States, cities are on the front line of resistance to Trump, standing up for diversity, women's and LGBTI rights, and working to tackle climate change. In Turkey and Syria, Kurdish democratic confederalism is a beacon of participatory democracy, feminism and human rights in a sea of violence and discrimination. In Latin America, new municipalist movements are springing up and working to fight poverty and inequality by building economic alternatives from below. 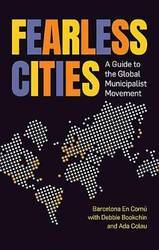 It includes: The theoretical underpinnings of municipalism, including the politics of proximity and the movement's role in feminizing politics and stopping the far right. Examples of real radical policies being implemented in town and cities across the world to guarantee the right to housing, remunicipalize basic services and democratize decision-making. Practical organizing strategies and tools from municipalist platforms, from how to draw up a participatory manifesto to how to crowdsource funding or hold a neighbourhood assembly. Profiles of 50 pioneering municipalist platforms from around the world. 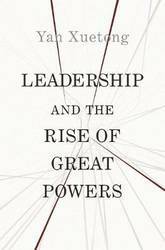 For most of recorded history, men have held nearly all of the most powerful leadership positions. Today, although women occupy an increasing percentage of leadership positions, in America they hold less than a fifth of positions in both the public and private sectors. The United States ranks 78th in the world for women's representation in political office. In politics, although women constitute a majority of the electorate, they account for only 18 percent of Congress, 10 percent of governors, and 12 percent of mayors of the nation's 100 largest cities. In academia, women account for a majority of college graduates, but only about a quarter of full professors and university presidents. In law, women are almost half of law school graduates, but only 17 percent of the equity partners of major firms, and 22 percent of Fortune 500 general counsels. In business, women constitute a third of MBA graduates, but only 5 percent of Fortune 500 CEOs. In Women and Leadership, the eminent legal scholar Deborah L. Rhode focuses on women's underrepresentation in leadership roles and asks why it persists and what we can do about it. Although organizations generally stand to gain from increasing gender equity in leadership, women's underrepresentation is persistent and pervasive. Rhode explores the reasons, including women's family roles, unconscious gender bias, and exclusion from professional development networks. She stresses that we cannot address the problem at the individual level; instead, she argues that we need broad-based strategies that address the deep-seated structural and cultural conditions facing women. She surveys a range of professions in politics, management, law, and academia and draws from a survey of prominent women to develop solutions that can successfully chip away at the imbalance. These include developing robust women-to-women networks, enacting laws and policies that address work/life imbalances, and training programs that start at an earlier age. 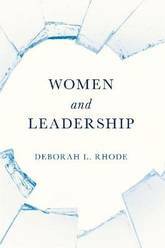 Rhode's clear exploration of the leadership gap and her compelling policy prescriptions will make this an essential book for anyone interested in leveling the playing field for women leaders in America. This book explores the long history of the evolution of Arab political identity, which predates the time of the Prophet Muhammad and is characterized by tolerance, compassion, generosity, hospitality, self-control, correct behaviour, equality and consensus. The author argues that present-day struggles in many Arab countries to redefine polities and politics are related to the fact that the underlying political culture of the Arabs has been overridden for centuries by successive political regimes which have deviated from the original political culture that the Prophet adhered to. 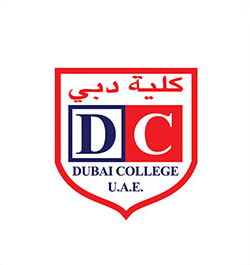 The book outlines the political culture that existed before Islam, examines how the Conquests and the rule of the early dynasties (Umayyad and Abbasid) of the Islamic world found it necessary to override it, and analyses the effect of rule by non-Arabs - successively Mamluks, Ottoman Turks and Western colonial powers. 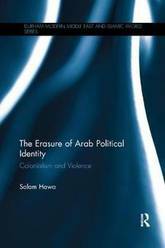 It discusses the impact of these distortions on present day politics in the Arab world, and concludes by appealing for a reawakening of, and respect for, the cultural elements underlying the origins of Arab political identity. On the first anniversary of Donald Trump's presidency, Michael Nelson, one of our finest and most objective presidential scholars, published Trump's First Year, a nonpartisan assessment that was widely hailed as the best account of one of the most unusual years in presidential history. At the midpoint of Trump's term, Nelson has updated his book to include the second year, which if anything has proven to be even more remarkable. Beginning with an examination of the dramatic 2016 election, Nelson's book follows Trump as he takes office under mostly favorable conditions, with relative stability at home and abroad and his party in control of both houses of Congress. Trump leveraged this successfully in some ways, from the confirmation of his nominee Neil Gorsuch to the Supreme Court to the passage of his tax-reform bill. But many more actions were perceived as failures or even threats to a safe, functional democracy, including immigration policies defied by state and local governments, volatile dealings with North Korea, unsuccessful attempts to pass major legislation, and the inability to fill government positions or maintain consistent White House staff. As Nelson demonstrates in a substantial addition to the original book, Trump's effectiveness, or lack thereof, did not change significantly in his second year in office, but his approach often did. With the Mueller investigation and the midterm elections looming, Trump threw off his advisors' restraints and acted more directly on his impulses, reverting to the instincts and rhetoric that had won him the election. While opposition to Trump remained strong in many quarters, resistance among GOP leaders crumbled as they were confronted with their constituents' support of the president. 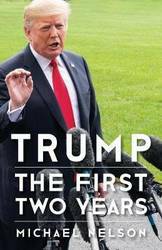 Published on the second anniversary of Trump's inauguration, Nelson's book offers the most complete and up-to-date assessment of this still-unfolding story. Congress is a bicameral legislature in which both the House and Senate must pass a bill before it can be enacted into law. The US bicameral system also differs from most democracies in that the two chambers have relatively equal power to legislate and must find ways to resolve their disputes. In the current landscape of party polarization, this contentious process has become far more chaotic, leading to the public perception that the House and Senate are unwilling or unable to compromise and calling into question the effectiveness of the bicameral system itself. 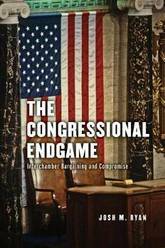 With The Congressional Endgame, Josh M. Ryan offers a coherent explanation of how the bicameral legislative process works in Congress and shows that the types of policy outcomes it produces are in line with those intended by the framers of the Constitution. Although each bargaining outcome may seem idiosyncratic, the product of strong leadership and personality politics, interchamber bargaining outcomes in Congress are actually structured by observable institutional factors. Ryan finds that the characteristics of the winning coalition are critically important to which chamber wins after bargaining, with both conference committees and an alternative resolution venue, amendment trading, creating policy that approximates the preferences of the more moderate chamber. Although slow and incremental, interchamber negotiations serve their intended purpose well, The Congressional Endgame shows; they increase the odds of compromise while at the same time offering a powerful constraint on dramatic policy changes. The triumph of Aung San Suu Kyi's National League for Democracy at the 2015 election was supposed to mark the consolidation of a reformist trajectory for Myanmar society. What has followed has not proved so straightforward. 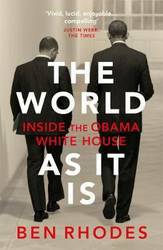 This book takes stock of the mutations, continuities and fractures at the heart of today's political and economic transformations, and asks many questions. What has changed under a democratically elected government? Where are the obstacles to reform? And is there scope to foster a more prosperous and inclusive Myanmar? With the peace process faltering, over 1 million people displaced by recent violence, and ongoing army dominance in key areas of decision-making, the chapters in this volume identify areas of possible reform within the constraints of Myanmar's hybrid civil-military governance arrangements. This volume continues a long tradition of intense, critical engagement with political, economic and social questions in one of Southeast Asia's most complicated countries. At a time of great uncertainty and anxiety, the 13 chapters of Myanmar Transformed? 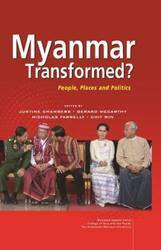 offer new and alternative ways to understand Myanmar and its people. August Bebel (1840-1913) was one of the towering figures of late nineteenth century European socialism and the leading figure of the German labour movement from the 1860s until his death in 1913. Born into a modest family, and a half-orphan from the age of four, his advancement to a pivotal role in the politics of Imperial Germany mirrored the success of German social democracy in this period. Bebel was not only the founder and first leader of the Social Democratic Workers Party of Germany (SDAP), a political movement that became the largest socialist party in nineteenth-century Europe, but he was also a powerful orator and leading member of the German parliament. He was described by contemporaries as the `king of the German workers' and the `shadow emperor' of Germany. In this biography, Jurgen Schmidt situates Bebel's life and career in the political, social and cultural history of modern Europe. 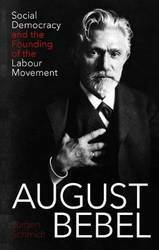 He also provides an overview of the growth of the labour movement and working class political activism in late-nineteenth century Germany. This is an essential biography of one of Germany's most influential and unique politicians, living at a time of great political, social and industrial change in Europe. Federalism-the division of authority between the states and the federal government-ranks among the most important and lasting political and constitutional contributions of the American founders. Since the founding, however, Americans have engaged in a perpetual argument over federalism's proper structure and function. Arranged thematically and covering the entire span of American history, Debating Federalism: From the Founding to Today provides readers with the sources necessary to trace and understand this perennial debate. 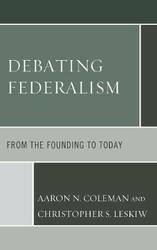 By examining the theoretical, polemical, political arguments as well as landmark Supreme Court cases, this collection reveals the continuing relevance and contentiousness of federalism in the American constitutional order.